This federal government should beam its anti-graft searchlight on its billionaire public service appointees preying on the pension administration system. I’m deliberately taking a break from partisan politics today. 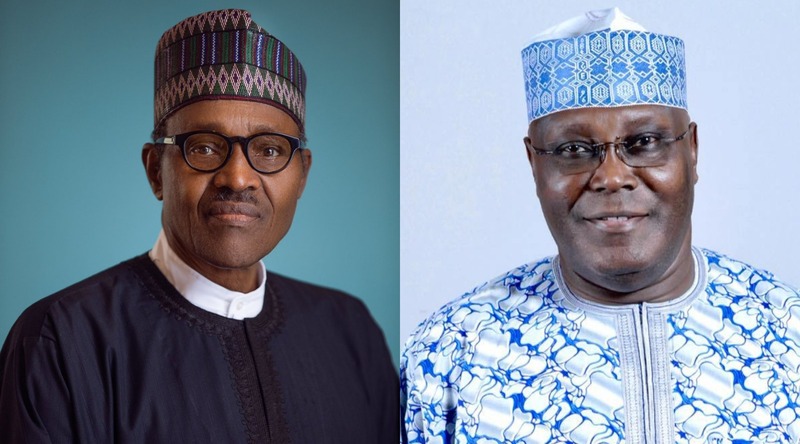 For I don’t need anybody to tell me that the ruling All Progressives Congress (APC) is troubled by the emergence of Atiku Abubakar as the presidential candidate of the People’s Democratic Party (PDP). I know APC leaders will deny all these, but the party hit the panic button as soon as reality dawned on them from Port Harcourt. They resorted to the old, tired lines of ‘dollarised money politics,’ as if APC plays its own politics with cowries! Suddenly, the story that Atiku can’t visit the United States returned. Suddenly, they began to push the story that Atiku is desperate to be president. I then compare this to PMB’s three failed attempts. I also consider the fact that Atiku has a document compendium of programmes he would pursue as president, and has not shied away from debating and interrogating them. So, who is more desperate? The person who just wanted to answer ‘civilian president’ without a clear-cut development programme or the man who wants to be president and has actually prepared himself for the job? Atiku is rich. I don’t think he owes anybody any apologies for being rich, especially when we can point to his sources of income, unlike several other billionaires on both sides of the political divide. I got a first-hand experience of the suffering and trauma pensioners go through in Nigeria sometime in the mid-1990s. It was at the Ebute Metta, Lagos, headquarters of the Nigeria Railway Corporation (NRC), where, as a fresh reporter, I had gone to cover a planned protest of some of the corporation’s retirees who were yet to receive either their pension or gratuity, or both. When I couldn’t the take stench of penury and disease on the grounds anymore, I scampered up to the balcony, from where their leaders and, hopefully, some senior NRC officials were to address them. Since that experience, I’ve always reserved the worst of curses for all those who play fraudulent pranks with people’s pension, gratuity or whatever called. I know everyone’s mind would automatically swing in the direction of our National Assembly members and the governors. But, you know what, those ones (even if they were former Akwa Ibom governors) are ‘saints’ compared to the often overlooked tin gods in our government parastatals. Also arraigned was SEC’s Executive Commissioner, Corporate Services, Zakwanu Garuba, for allegedly conniving with Gwarzo to commit the fraud. Gwarzo’s alleged offence was, among others, that while being the Director-General of the SEC, (he) received the sum of N104,851,154.94 as severance benefits when he had yet to retire, resign or disengage from the service of SEC. Speaking before the House of Representatives Committee on Capital Market and Institutions at the National Assembly then, the suspended SEC DG had admitted receiving the N104 million severance benefit, defending the payment as his due, having served as a commissioner for over two years before his appointment as the DG. He held that his DG position was a totally different and new appointment. It didn’t seem to matter to him that he had to literally do the approval himself, since the governing board that was to approve the payment was not in place at the time it was made. While these remain in the realm of allegations until the accused are pronounced guilty by a court of competent jurisdiction, government’s swift actions on them, especially the institution of high-powered panels of investigation, as well as the order to the anti-graft agencies to investigate the alleged infractions, portrayed a government serious about the war against corruption. Likewise, the Federal Government’s immediate removal/suspension of the heads of the affected agencies to facilitate unimpeded and unadulterated investigation was welcomed by Nigerians as government’s walking the talk on the anti-corruption war. But it would seem the revelations are coming too close to election campaigns. Maybe PMB’s APC government does not want to score another own-goal at this injury time. Just maybe. So, while many Nigerians, who were used to the strict corporate governance and industry regulation by PENCOM did not believe that such alleged ripoff was possible under the President Buhari administration, expected a swift denial from PENCOM, mum has been the agency’s watchword over the serious matter. Not even the media outcry, including an editorial by Vanguard Newspaper (in its July 13, 2018, edition) lambasting and denouncing the development has moved the Acting DG to deny the actions. For me, rather than this present hitting of the panic button over the emergence of Atiku as PDP presidential standard-bearer, the best campaign PMB can do for himself is to clean the government’s Augean stables. Cut the over-emphasis on witch-hunting perceived political opponents, and attack the cankerworm eating away at the moral fabric of the government from within the government. Don’t make certain corrupt heads of government agencies and parastatals look untouchable. And if there are agencies that cannot statutorily function satisfactorily without their boards, let’s not create sole administrators. Let’s send the names of the appointed new management, like in the case of PENCOM, to the Senate for confirmation. The searchlight would then shift to the lawmakers, if they fail to do the needful.